When SOAR’s facility was planned and built, approximately 100 wild bird patients were admitted each year. Over the years, the admission rate has more than tripled. To accommodate this number of patients, flight areas have been added, but birds needing intensive care have to be kept warm in the winter and cool in the summer. As climate controlled space is limited, intensive care patients have had to share space with food storage freezers and food preparation areas. The combined heat output from the freezer units makes it difficult to keep intensive care rooms at an appropriate temperature. As soon as the 2019 construction season allows, a stand-alone 20′ X 24′ X 9′ insulated structure on a concrete pad with floor drain will be built next to the facility to house all the freezers and food prep area. Garage door access to freezers would allow for ease of loading and unloading even in inclement weather. 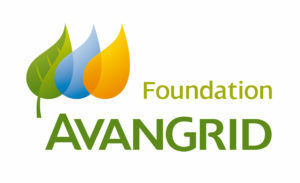 We’re excited by the support of the Avangrid Foundation and can’t wait to have this separate building. How exciting will it be that when food shipments arrive, we can load them into the freezers without disturbing patients in intensive care. With SOAR’s current patient load, freezers are emptied and refilled approximately every six weeks.